An award-winning property, The Assembly is a 240-unit affordable housing complex located in Greenville, SC. In 2018, CAHEC selected the property as the recipient of their 2018 CAHEC Award for Outstanding Development. Each unit offers ceiling fans, a patio/balcony, refrigerator, range, dishwasher, microwave and washer/dryer connections. Additionally, The Assembly provides a comprehensive fitness center, resort-style swimming pool, playground, computer center, central laundry with commercial washer/dryer and a community room. 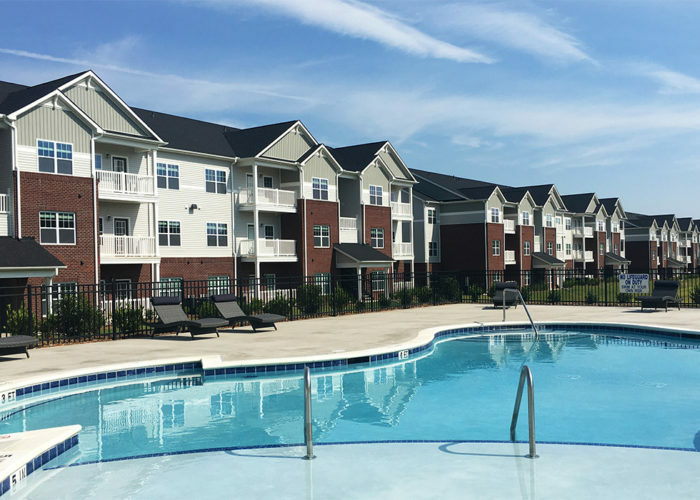 Many of the residential units at The Assembly overlook the expansive lawn and pool area, and stunning views of the Blue Ridge Mountains are visible from the clubhouse, pool deck and various units. A variety of shopping, dining and recreation opportunities are convenient to the property.